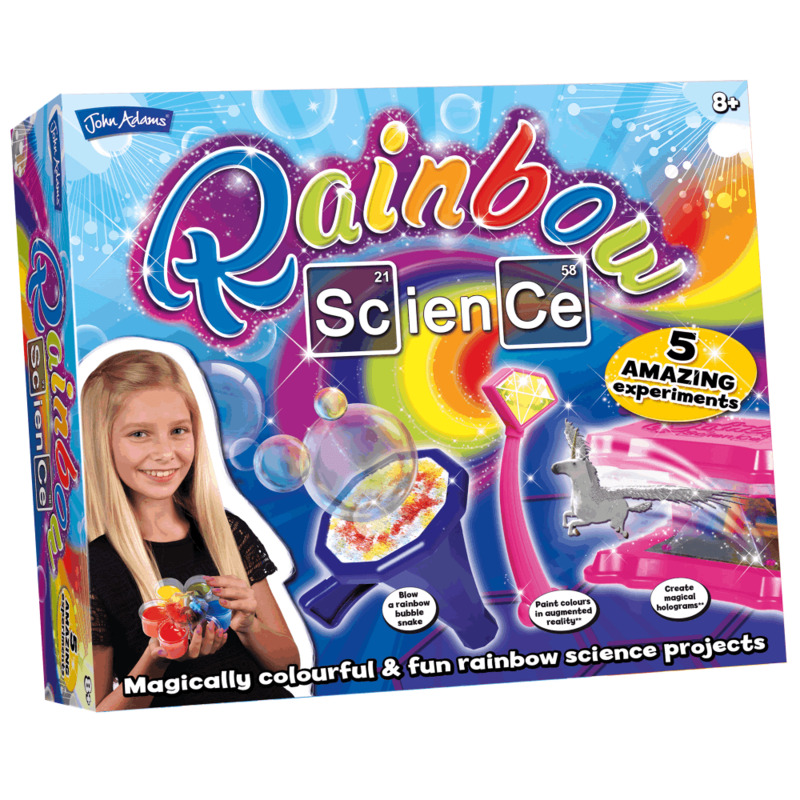 Rainbow Science is great fun for budding scientists to create 5 magically colourful and fun rainbow-themed experiments! Blow a rainbow bubble snake, create magical holograms, paint in augmented reality, make a rainbow amulet and a water rainbow flower. This kit contains everything you will need to get creative with colour and explore with these science projects. The kit contains rainbow wand and stickers, bubble blower and cap flannel piece, hologram stage and stickers, rainbow amulet and lid, pipette, scoop, suction cup and cord, walking water container and felt wicks, yellow-red, and blue colouring and full instructions.